A GARDA REVIEW will take place into the investigation of the deaths of the Hawe family in August 2016, the Garda Commissioner Drew Harris has said. After meeting with family members of Clodagh Hawe, Harris said tonight that “a serious case review” of the investigation would be carried out by Assistant Commissioner Barry O’Brien. Alan and Clodagh Hawe and their three children – Liam, 14, Niall, 11, and six-year-old Ryan – were found dead in their Cavan home. An inquest found that Clodagh and her three sons were unlawfully killed by Alan who took his own life after the murders at their home at Oakdene, Balcony, Ballyjamesduff. 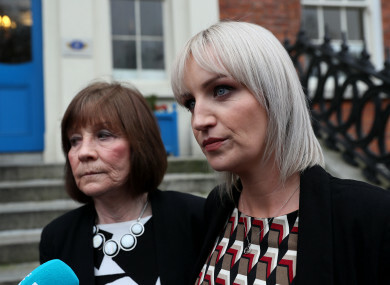 Clodagh Hawe’s sister Jacqueline Connolly and her mother Mary Coll, have been calling for answers over the investigation into the deaths, and said that information in relation to Alan Hawe’s actions in the lead up to the killings. Jacqueline said previously that a witness possibly saw Alan Hawe driving his car after killing Clodagh and their sons. This evening, Harris met with Mary Coll and Jacqueline Connolly. He said that the meeting was conducted in a dignified manner, adding: “It is welcome that the family found it productive and it helped provide clarity for them on some matters”. The family was given information in relation to the investigation; the family had previously requested the case files, but that request was refused. Commissioner Harris provided the family with information on the criminal investigation undertaken while also respecting the data protection rights and confidentiality of those individuals who had given statements to An Garda Síochána in the course of the investigation. The review team will take a number of weeks to establish. Commissioner Harris said the family will be kept informed as the review progresses. Email “Gardaí to conduct review of investigation into Hawe family deaths”. Feedback on “Gardaí to conduct review of investigation into Hawe family deaths”.